TAMPA, Fla. - The 2018 Super Y League North American Finals will run from Dec. 7-11 at IMG Academy in Bradenton, Florida, and the event boasts a rewarding opportunity for the country's best youth talents to meet with college colleges. Time is running out to register for the event, with 20 spots remaining for those interested in attending! Following the opening day of matches at SYL Finals, Super Y League will host a College Coaches Panel on Dec. 7 at 7 p.m. ET at the Soccer Complex Building featuring four of the nation's top men's and women's college soccer coaches. 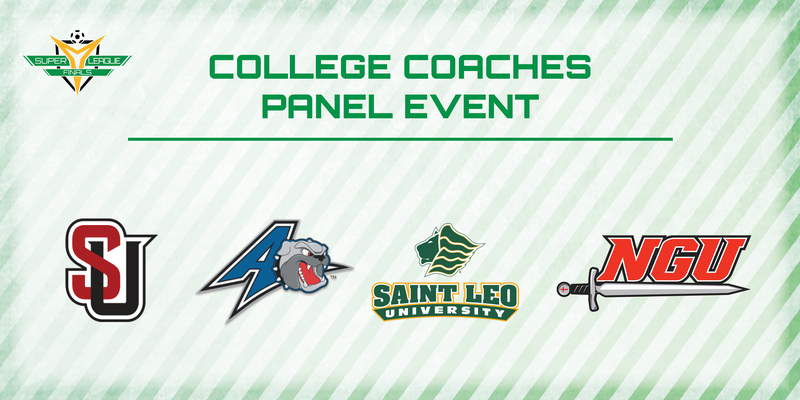 Among the coaches in attendance will be Seattle University Women's Soccer assistant coach Chris Wells, as well Aaron Tritch (Saint Leo University Women's Soccer), Bill Martin (North Greenville University Men’s Soccer) and Clifton Bush (UNC Asheville Women's Soccer). Attended by collegiate, U.S. Soccer and USL scouts, players will have an opportunity to impress and earn an invitation to the 2019 USL Experience, which will be hosted by the Tampa Bay Rowdies in April 2019. For more information and registration for the event, please visit the sign-up link provided below.